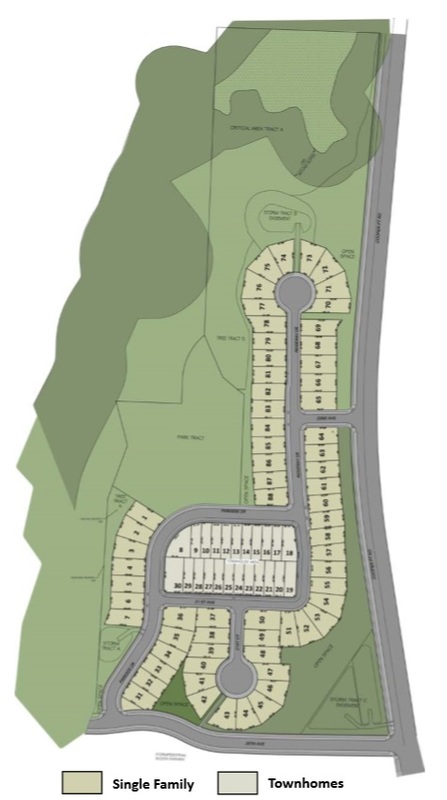 The Parkside project consists of 77 single-family detached lots and is located in the northern Cooper Point area of Olympia. Parkside lots average 5,000 square feet. Top area employers include the State of Washington and Providence St. Peter Hospital. Other large employers are in nearby surrounding areas such as Lacy, Tacoma, and Gig Harbor, all within easy commuting distance. Parkside is a unique opportunity for a builder or investor looking to bring product to an appreciating market to fill a need for housing.